Tuesday Talk Back: You don’t like the notebook you started… Now what? Question: What do you do with the journal or notebook that you started, but ended up not liking? 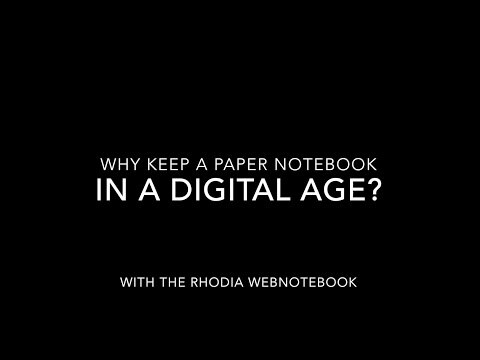 Before I started writing for Rhodia Drive, I used to do a lot of product reviews on my personal blog in search of the perfect pen, ink and journal. At that time, the perfect notebook for me was one that was first and foremost friendly to fountain pen inks. Other preferred features included being able to both open and lie flat, pages with rounded corners, and a rigid cover so that I could write with the book propped on my knee. I ended up testing many, many journals. If I really didn’t like the book, I’d either give it away or recycle it. If I liked it, I’d obviously use it – but there were one or two that while I didn’t love them, I thought had a few redeeming qualities. These ended up hanging around on the shelf a lot longer than I’d intended. Case in point – I just finished a book that I’d started in July of 2010. I didn’t love the book when I first bought it, mostly because it wasn’t fountain pen friendly and the pages had noticeable grain. Four years ago I decided to turn it into a mixed media art journal and had started drawing on the first few pages but once again, I quickly abandoned it. I came upon the book once again this past April, when I decided that I either had to use it or get rid of it. Knowing that I’d created art in it, I didn’t really want to let it go and so I tried again. Five months later, it was filled with a combination of writing and sketches, all done in pencil and it felt good to have finally finished something that I’d started so long ago- even if it was just a simple journal. So if I may ask, what do YOU do once you’ve started working in a journal or notebook, then decide you don’t like it? Aaarrggghh!! I’m a bit of a naughty-girl, when it comes to notebooks. I cannot stop myself from buying and trying pretty much any and every make, model and style of notebook/journal out there, despite always returning to my trusty Rhodia & Leuchtturms. I’ve lost count of just how many blank notebooks/journals that I have around my apartment; in drawers, bags, boxes, cupboards and on shelves. I think it’s at least around the 100+ mark. When I happen upon a new brand, I enter into a sort of dreamy-eyed state of infatuation. It catches my eye and so begins the dance of will-I-won’t-I take the plunge and make the purchase….when deep down I know that it’s a done deal from the moment I’ve laid eyes upon it. When I say ‘every’ new notebook/journal, I’m really only referring to the slightly more luxurious brands out there. I’m a sucker for an A5 sized, narrow lined, journal that lies flat to reveal ivory coloured pages, a bookmark and a pocket tucked away in back! But of course, the romance of each of these dalliances with so many new brands, soon wears off when they arrive, are unwrapped and I’m faced with the reality of a terrible problem with feathering; hideous bleedthrough, a strange smell to the pages or lines so widely spaced, they make me feel like a 3 year old, learning how to write for the first time. When I discover that a certain notebook just isn’t going to handle my fountain pens with any degree of satisfaction, I almost certainly fall out of love with them, as quickly as the infatuation initially set in. I feel let down. They promised me everything and failed to make good on those declarations. But whilst one half of my brain is telling me to toss the offending notebook aside and stop straying from my beloved favourite brands, the other half tries to placate my anger and disappointment with the suggestion of perhaps using something more suitable like gel pens or different coloured ballpoints, to find a way of ameliorating the situation. And so I end up with a pile of barely used notebooks, that slowly over time, I return to eventually, with different ideas as to how I can make them work. I know I’ll never buy that brand again, but as the daughter of a Scottish Methodist, I find it hard to see anything I’ve paid good money for, go to waste. So I use them for ‘list books’ ‘rough drafts’ journaling ideas, all sorts of things; but even though I manage to find them a kind of purpose in my already notebook-saturated life, the love has long dissipated, leaving only a state of begrudging compromise as I glimpse apologetically at the cover of a faithful Webbie. But like any daft romantic, I’m soon off lusting after another ‘brand new’ journal, in the hope that it might somehow be the holy grail of notebooks. And so begins another dance. A dance that will inevitably end in disaster! Lol. I’ve written my way through enough, (13), A6 sized journals that I have a good idea of what works for me now so I rarely start a book that I won’t finish any more. However, it took a lot of trial and error early on but I hated the idea of a incomplete journal do I would write on only one side of the page to get through it more quickly. I discovered that while I enjoy the look and feel of journals, I prefer something that requires less of a commitment to permanency so I use pads rather than journals. Usually once I have started in a journal and found out that it is not fountain pen friendly, it gets put back on the shelf. I do journal with my gel pens (pilot pens mostly) however that is few and far between. Most of my journals are lined. So if it is not fountain pen friendly, it goes in a stack to be used as a “church” notes journal.